Steve Jobs got fired from the company he started. Disney barely survived due to its founderâ€™s poor budgeting habits. J.K. Rowling, one of the richest women in the world today, once depended on welfare to survive. And Tim Ferris, bestselling author of â€œThe 4-Hour Work Weekâ€� was rejected 25 times before finding a publisher, who would work with him. 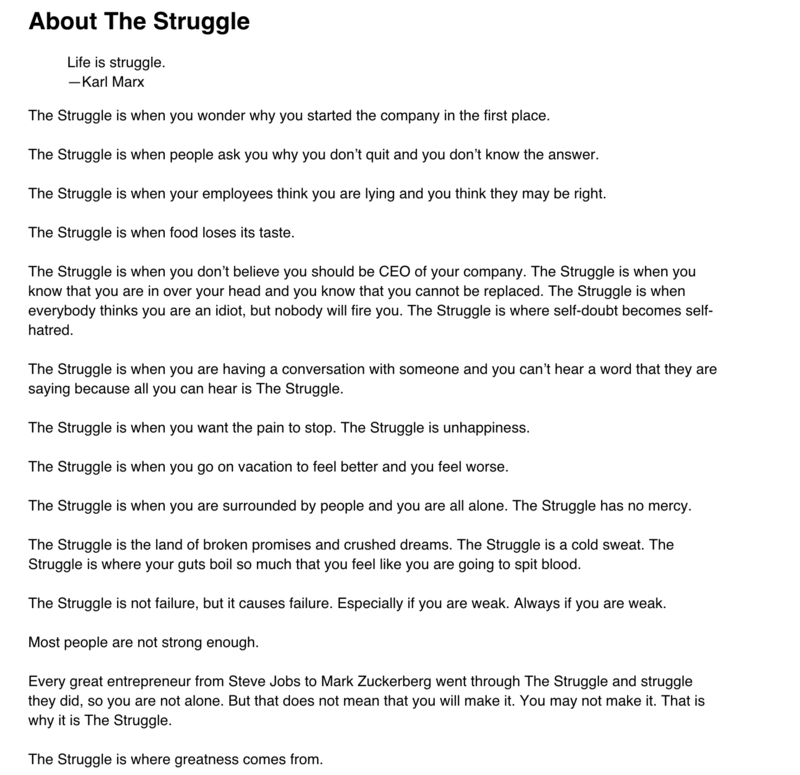 This monthâ€™s theme centers around â€œThe Struggleâ€� and therefore, brave entrepreneurs. When you really give a damn, youâ€™re willing to fight for it. Tell us about how you fought through your struggle. 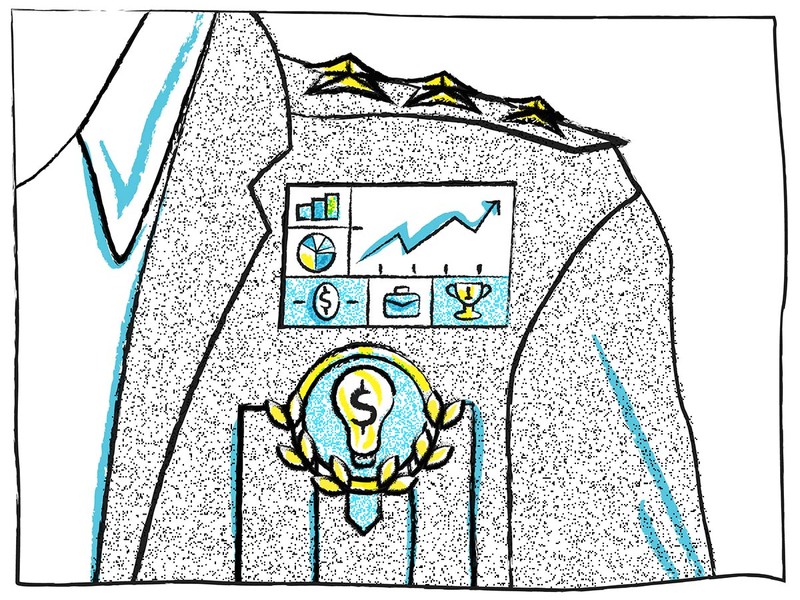 Just because you have a hoodie and 7-figure check from a VCâ€¦ that doesnâ€™t mean you will create the next big thing. It comes down to ambition; itâ€™s something thatâ€™s in your veins. Whether youâ€™re currently going through â€œThe Struggle,â€� or you have experienced this hell in the past, we want to publish your story of triumph and conflict. Tell us, in grave detail, about a time when your startup or professional life took a horrifying turn for the worst, and if/how you overcame it. We only want to hear true tales – either of your own struggle(s) or of someone you know or can interview. I owe my smile to perserverance. P.S. We will accept anonymous submissions because we know this can be a sensitive topic. Of course, we do believe that it takes guts to get out of the ruts so we hope youâ€™ll own your struggle for what it was – a conflict that ultimately nourished your success.